The middle of January is a tough time of year for many. The fun and frivolity of the festive season has gone, the days are still short, the weather is cold and most people will have already broken their New Year’s resolutions. 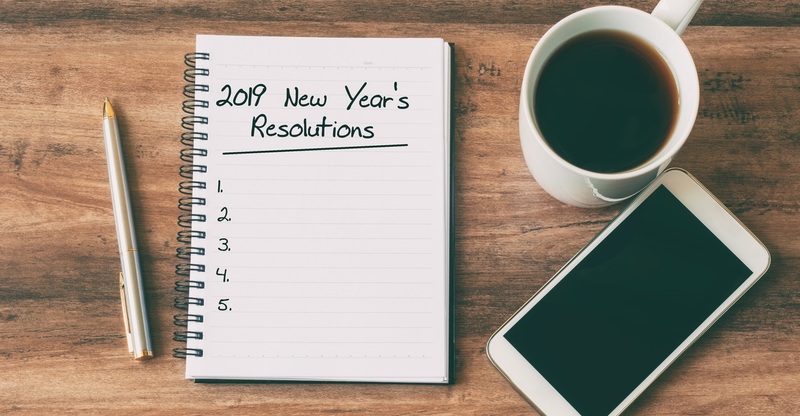 However, the new year is a good time for taking stock and setting new goals, so now may be a very good time to make some resolutions that every company should be able to stick to. Many offices are places where people just don’t communicate that much. Whether it is open plan or closed off, sometimes everyone disappears off into what is in management-speak known as a ‘silo’. However, companies always run better when people are talking more. Consulting each other, sharing best practice and, most importantly of all, discussing how one part of the business affects another – and where this can create scope for improvements – are all ways in which sharing more information can make everything run more smoothly. Wellbeing in the office can take many forms. It includes mental and physical health, but can also be defined in a wider, more holistic sense. In promoting it, managers will not just be doing things like encouraging healthy eating (although having a fruit bowl, nutritious snacks and fewer cakes can help), but also implementing measures to train people in awareness of mental health issues and to seek help if it needed. There may be much more you can do to make your office more eco-friendly. Paper recycling and sensor-activated lights that turn off when someone leaves a room may be the sort of thing you have already, but could you do more? Maybe an office-wide initiative to link up with an environmental charity? Alternatively, could you do something to the building, like planting a green roof to recycle ‘grey’ water for your toilets and absorb more carbon? Now can be a good time to review company policies, and none can be more important than equal opportunities. Of course there are all sorts of areas where discrimination is outlawed, but while there may be firm policies in place to deal with obviously unacceptable behaviour such as sexism or racism, some problems can be subtle; and not necessarily the company’s fault. For example, it may be that some people, because of their gender or background, have low expectations about how far they can go, not least if they have experienced barriers to advancement in the past. If they have obvious talents, it may make sense to work with them on their career development by encouraging them to think about how they can progress. Finally, it is important to make sure that office life is enjoyable. It’s not just now when the office Christmas party is a fading memory and the summer drinks outing is a long way off. If life in the office is a bit hum-drum, spruce it up with competitions like Fantasy Football, or quiz nights, or more regular social events. It’s not just the social aspect. It’s worth everyone reminding themselves that a smile and a bit of laughter sometimes can go a long way towards lightening the atmosphere, reducing stress, and making your workplace a much more enjoyable and rewarding place to be in.